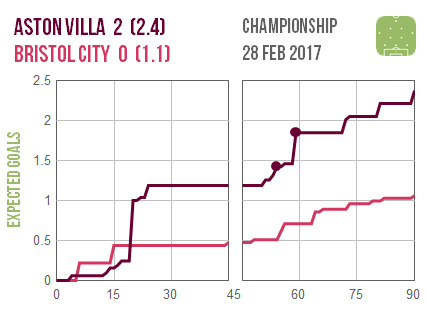 There were only a handful of matches but all could prove pivotal: Bristol City’s defeat adds to their woeful run and saw Aston Villa continue their recovery, although it looks too late for them to trouble the play-offs. 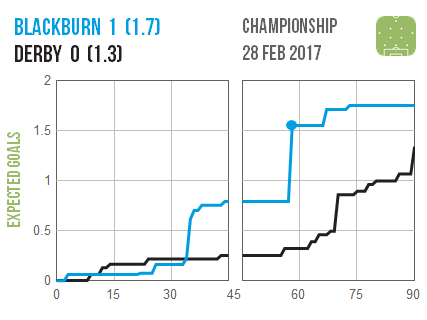 Blackburn’s precious win over Derby edges them closer to safety – potentially dragging the Robins into danger – and dousing the Rams’ own play-off ambitions further. 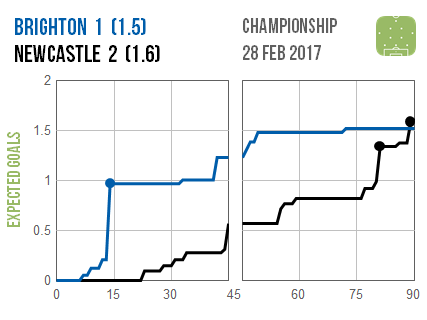 Finally the top two clash at Brighton, edged by visitors Newcastle, puts their hosts in danger of being overtaken by in-form Huddersfield.